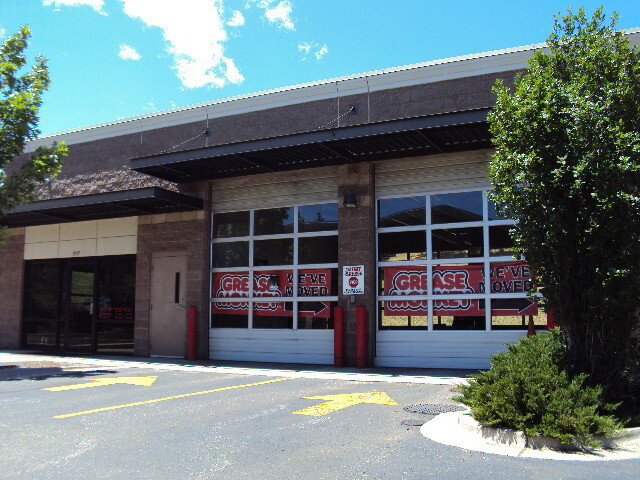 Appraisal services for lube shop, service and repair and tire store properties in Adams, Arapahoe, Boulder, Broomfield, Clear Creek, Denver, Douglas, Eagle, Elbert, El Paso, Gilpin, Jefferson, Larimer, Summit and Weld County. We offer appraisal services to lube shops, service & repair facilities, and tire stores around Colorado. Whether you have a national franchise or local operation, we can help establish the value of your property, and if needed, the FF&E and business components as well. To understand the price and turn-around time for an appraisal on your auto-related property, please use this appraisal pricing form. The market commonly refers to a lube shop as a “quick lube” property. The main difference between a tire store/service and repair facility, compared to a lube shop, is that the latter commonly has a basement which is referred to a “pit area” for this property type. Most lube shop, otherwise referred to as quick lube properties, have a retail presence. In fact, they are considered sub-types of “retail” by the Appraisal Institute. Though this is not always the case, as some properties that offer these services have more industrial type locations. As mentioned earlier, the main differentiator between a quick lube property and a similar auto-use property is the pit area. However, if a property doesn’t have a pit area, it doesn’t mean that it cannot be used for oil lubrication services. Some service and repair properties were originally constructed specifically for this use, others have been adapted through the years to accommodate this use. The same can be said about tire store properties. The difference between these two property types is very minimal, if any. Both are used for automotive services and have lifts to support servicing vehicles. Both typically have a small administrative office or customer area, though this is not the case. In most cases, the lifts are not considered part of the real estate, but rather, equipment, which is personal property. The most difficult aspect of appraising this property type is finding comparable properties that have sold, and/or, have rental information available. In an ideal world, there would be at least five replicas of the subject property that have sold within the past 12 months, within the same market, that are of similar ages, tenancy, and sizes. In this ideal world, there would also be at least five replicas of the subject property that have been leased, within the past 12 months, to a similar credit tenant, within the same market, that are of similar ages and sizes. In reality, this level of comparability is not common. Further complicating the matter of relatively few transactions, is that lease rate information is not public, and most owner’s/tenants do not want to share this information. However, even if there is limited data, there are still ways to accurately estimate value. In order to provide pricing on a commercial property, including a lube shop, tire store, or service and repair building, some general parameters must be understood. Please use this appraisal pricing form for pricing.